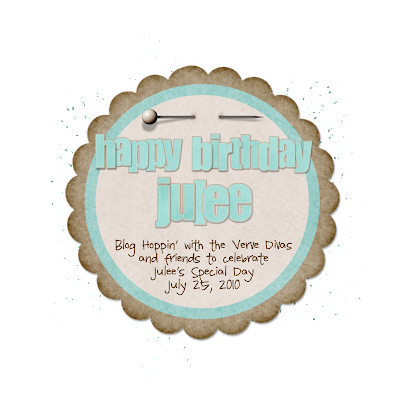 Well, the Head Diva, Julee Tilman, is having a little birthday today, so a bunch of us Verve Divas and other friends of hers are surprising her with this Blog Hop Celebration! 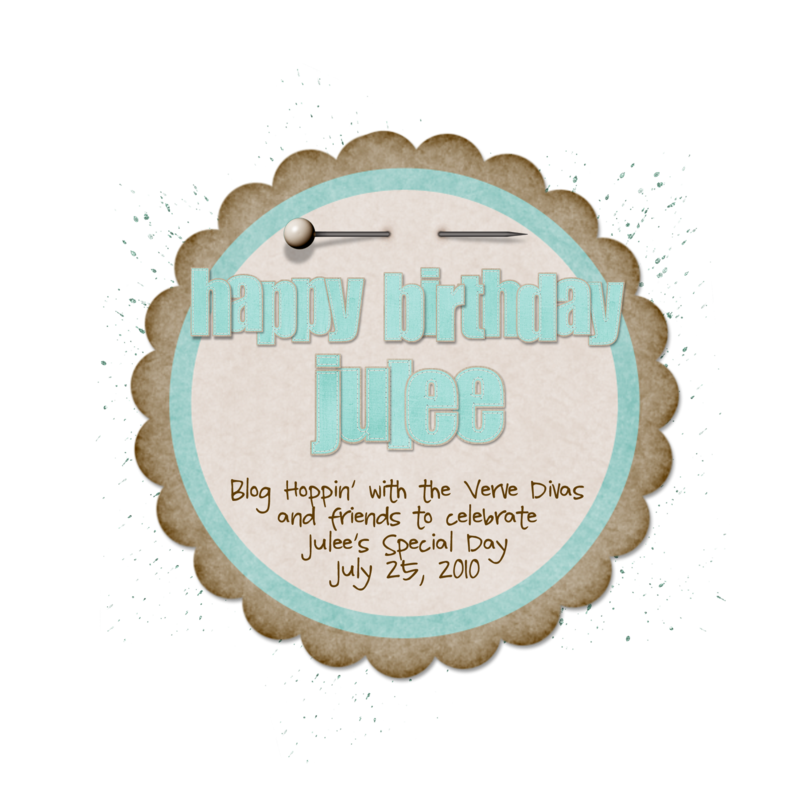 The start of the hop is over on the Verve Blog, so be sure and start there. Next on the hop is Maureen Plut, from Buttons & Bling! Didn't want you to miss out on the comment love. LOL. You're so cute! Can't wait to see your card - I'm sure it's amazing! !